Being a vegetarian, eating fruit and vegetables and incorporating them in my daily diet is a lifetime habit and not one that is hard for me, however when it comes to kids sometimes making sure they have their five a day is more difficult as they don't always like all fruit or vegetable that's good for them. In these instances my best plan of action is to hide them amongst fruits and vegetables that that do like in a form of a smoothie. I made this delicious Peach and apple smoothie in my new Optimum 9400 that Froothie sent me and I am in heaven. Smoothies have now become my regular breakfast on the go ritual, they are healthy and my whole family can get their 5 a day without any fuss. 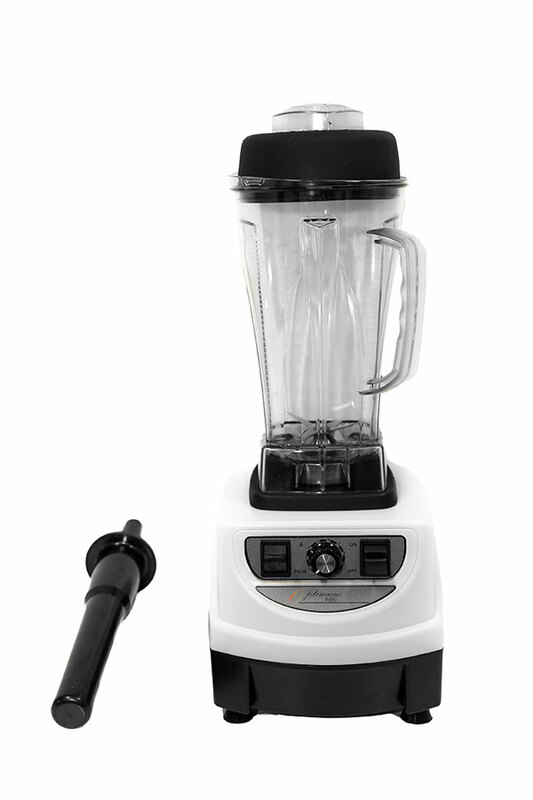 1.Add all the ingredients into the Optimum 9400 and start to blend, starting at a low speed and gradually increasing the speed for about 60 seconds. Serve the smoothie immediately in tall glasses or bottles with pretty straws for children. For my family I fill up insulated cups on the go to keep the smoothies chilled and easy to take away. NB- I added water but you can add almond or soya milk to make it into a milkshake. Froothie have come up with a powerful mean machine called Optimum 9400 which will blast any ingredient and blitz it to a delicious purée in moments, furthermore it crushes ice like it cutting through butter, it chops, grates, grinds and whips and you can use it with wet or dry ingredients in it without buying a separate jug. It also makes instant icecreams for the summer and warm soups for the winter so you can make use of it the whole year around. 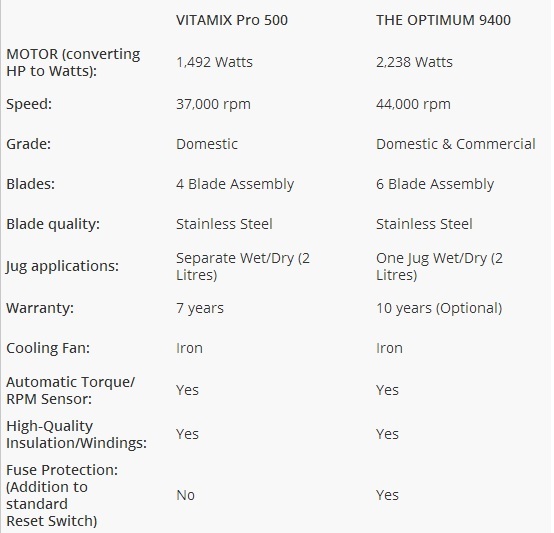 The best bit about the Optimum 9400 is that it looks sleek and smart has all the qualities of a robust and powerful blender at half the price. The jug is made from Eastman Tritan copolyester which makes it BPA safe. It is totally leak proof and comes in a choice of 2 colours. At the moment the Optimum 9400 is available at a special offer introductory price of £329 which includes a 30 day trial so that you can return it back postage free if you are not totally satisfied with it. I love options like this because I feel that if I do invest in a gadget I want peace of mind that I can be100 percent happy with it. Thankyou to Froothie for sending me the blender, all views and opinions expressed in this post are genuine and not biased. oooo they look lush! I'd love a juicer/blender to do these! Kate it is usually fine for a couple hours but if you store it all day it discolours and turns a little watery when ice melts. Tracey its a fantastic blender and so versatile. These sound amazing, I really want to make more smoothies. Making your own also means you can cater them to your taste and you know they are fresh with no additives added. I love juices and smoothies but couldn't justify that much on one gadget, it does look fantastic though. Louisa its a big investment but worth it as the cost of buying ready made smoothies added over the year will pay for the blender and it will be useful for other things too like icecreams and soups too. You can get milk bottles from dot.com too. Yummy that sounds amazing - and I need more fruit and veg never mind the kids. I shall post soe more smoothie ideas so may be that will eccourage you to eat/drink more veggies and fruit.Do watch this space. Oohhh that froothie blender seems powerful. And I love the smoothie combo. Thanks Bintu, its one mean machine. Tina I can definitely vouch for this one and its on special offer at the moment with 30 day money back guarantee.Trust me you won't send it back!!! Thanks Karen this was a definite winner even with the hidden prunes!!!! I hope you do Fozia. A smoothie maker is definitely on my list for my dream kitchen...and these smoothies look amazing! Jac I am loving it to bits and best thing is its so easy to clean that even my daughters have started to use it. Kids will love the colour and taste.The aroma from the peaches was so lovely. Wow that is some powerful beast of a machine! Looking forward to seeing more things you make in it. these look so good, summer perfect would love to have that machine in my kitchen too! 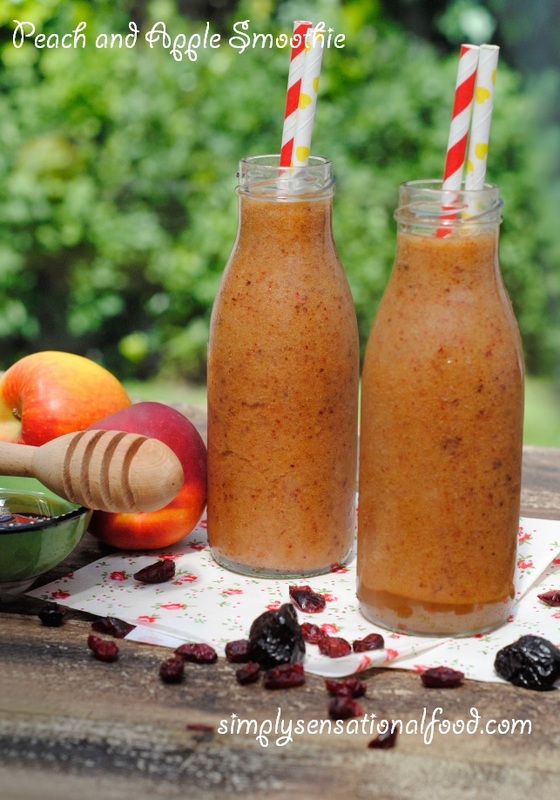 We love smoothies - great way to max out the five-a-day for the kids - and yours look gorgeous. Hadn't thought about trying cranberries or prunes so thanks for the tip. I so love a good smoothie. This looks yum. Oh prunes, what a good idea Nayna - I'm going to add those to the next smoothie I make. The whole thing sounds delicious. Using a blender leaves those nice little chunks in it that are great in a smoothie. I wonder if it would be as good if done in a juicer? What a great way to get some healthy ingredients in to smoothies for children and to improve the benefits for adults. Lovely looking blender there. Kale is such a great health kick to add to a smoothie but tough to blend, that looks as if it would cope well. Not too sure about the prunes, never been a big fan of them myself. I do like how yo serve them though! The peach-apple combination make such a delicious drink. I can't have the seeds but I like the rest! I love smoothies and they are a great way of using up all that ripe fruit in the fruitbowl. This sounds lovely! I like the addition of chia seeds too. I love my Froothie blender as well. Wow that sounds delicious and packed full of goodness! Love the bottles too! This sounds great! I love smoothies, so many endless possibilities! Really need to see what these chia seeds are all about! This looks absolutely delicious! I'll have to get a blender and try this out in summer :) I'm a veggie too! in Internet Explorer, it has some overlapping issues. I merely wanted to give you a quick heads up! I wouldn't mind composing a post or elaborating on many of the subjects you write related to here. really recognize what you're speaking about! Bookmarked.